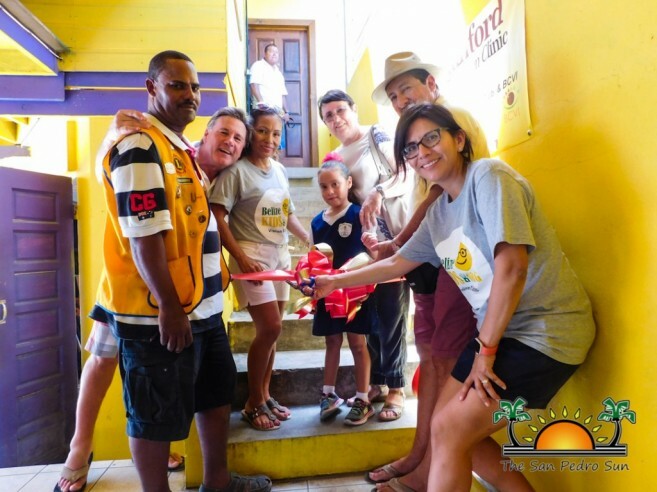 Through the team efforts of BelizeKids.org (BKO), Canary Cove, Stanford University in California, USA, the San Pedro Lions Club, and the Belize Council for the Visually Impaired (BCVI), San Pedro Town now has its first-ever, free eye clinic. 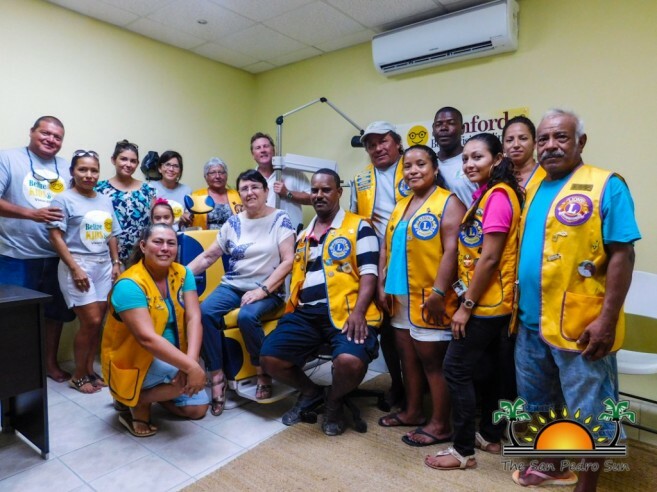 Located at the current San Pedro Lions Den’s BCVI examination room, the eye clinic is now equipped with all necessary machines in order to provide an array of services. The clinic was officially opened on Thursday, May 25th during a short ceremony. In attendance was founder of BKO, Don Listwin; Assistant Professor of Ophthalmology at Stanford University in California, USA, Dr. Caroline Fisher; Executive President of BCVI, Joan Musa; Executive Director of BCVI, Carla Musa; Gil Nuñez of Canary Cove; Lion President Nigel Belisle and other members of the Lions Club; Mayor Daniel Guerrero; and BelizeKids.org facilitators Jeff Spiegel and Rebecca Coutant. After the ribbon cutting ceremony, attendees were invited to take a look inside of the new eye clinic. Listwin explained that the clinic’s first step will be to continue to visit island schools, and use an autorefractor to determine the children’s eyesight. 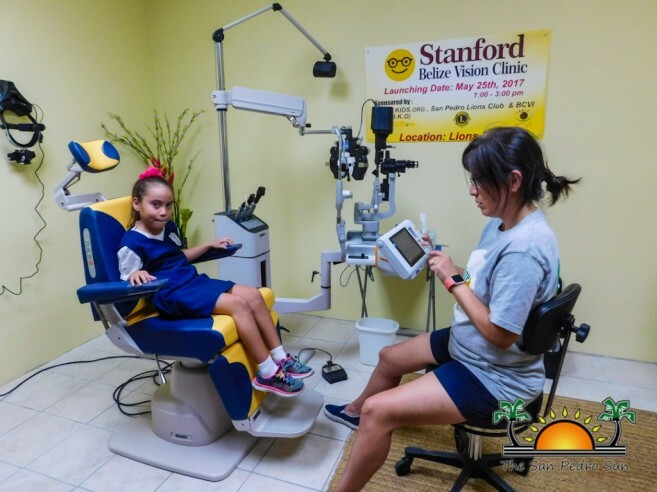 If the child fails the test and needs a follow-up, they will be referred to the eye clinic for further examination. Running the clinic will be volunteer ophthalmologists from Stanford. He furthered stated that these ophthalmologists will be able to diagnose further eye diseases such as glaucoma, diabetic retinopathy, and age-related macular degeneration. Listwin stated that the clinic will also be partnering with BCVI to perform surgical procedures on patients at a fraction of the normal costs. Listwin explained his inspiration behind the project. “Healthcare is a big missing piece in this community, and my wife and I try to do a major project in the community every year. I have lived here part-time for 10 years, and I consider San Pedro as one of my home communities. We’ve been very fortunate in technology businesses, so we wanted to invest in the local community. This idea just came about as an accident. I met Lion Jan Brown who needed additional equipment for the Lions eye-screening program, and after meeting Dr. Fisher, who is my neighbor, all of this came together when we spoke to the San Pedro Lions Club. 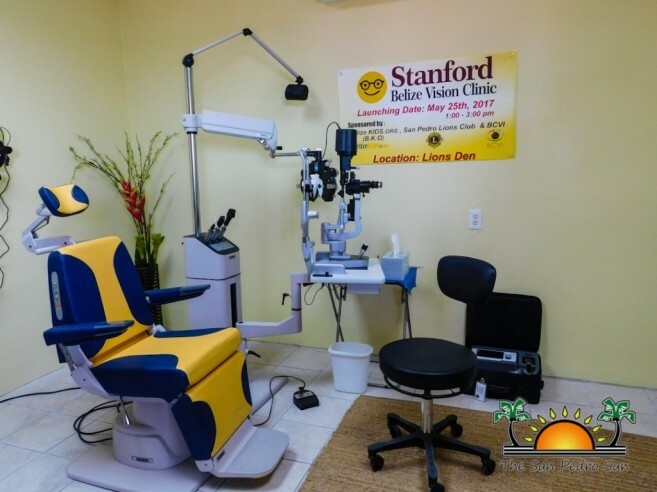 He also stated that with the launch of the new eye clinic, he hopes that he can venture out, and bring additional services from Stanford’s School of Medicine. Mayor Guerrero told The San Pedro Sun that he appreciates this new addition to the island’s health care services. “I am proud that these entities came together and opened this eye clinic. They have always helped, and it’s a good gesture on their part. As the leader of this island, I welcome this initiative, as because there are those who cannot afford private services, and might not know the extent of their underprivileged people who might not know the extent of their eyesight problems, so I encourage everyone to take advantage of this new clinic,” said Guerrero. Dr. Fisher stated that the idea of the eye clinic was proposed in October 2016 to improve the quality and quantity of eye care on the island. “As an ophthalmologist, I would say that the eyes are important organs. Fixing your eyesight can make a huge difference, especially when performing daily activities. I am happy to provide service to the community, and I hope that we can render assistance to those in need,” said Fisher.